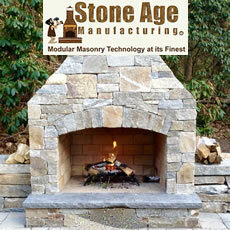 Wertz and Company Inc. offers many brands and types of Outdoor Fireplaces. Build an outdoor space unlike any other with the addition of an outdoor fireplace. Entertain friends, enjoy an evening with family, or prepare a relaxing, romantic evening with someone special. Your options are endless when Wertz and Company Inc. is at your service! To discuss your outdoor fireplace project, please call us at (302) 658-5186 or complete our Outdoor Fireplace Quote Form.